Different colors in our fruits and veggies provide different nutrients. 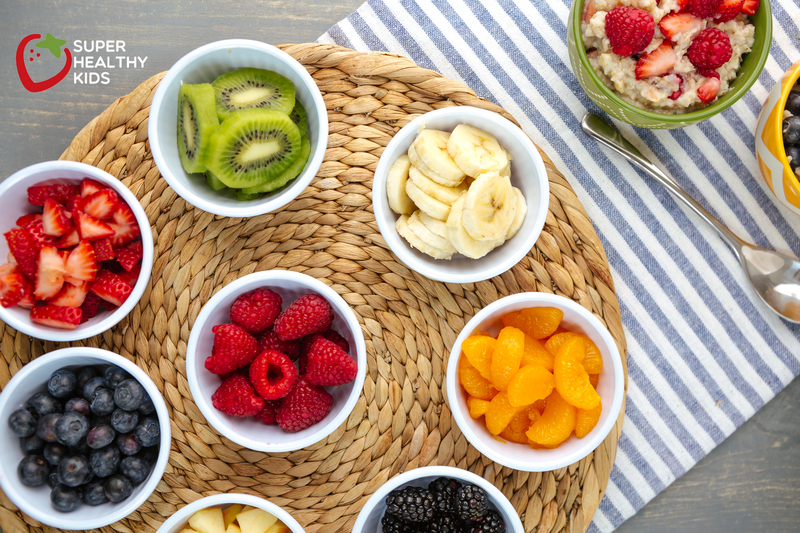 So, why not give kids the opportunity to eat a variety of colors of fruits and veggies, all for breakfast! I love letting the kids have healthy options, and an opportunity to eat and taste a variety of foods! 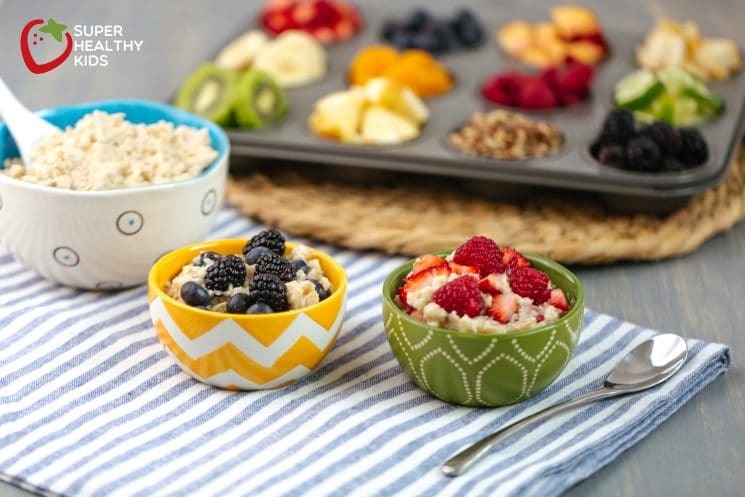 Making this oatmeal bar for breakfast is a great way to do it! 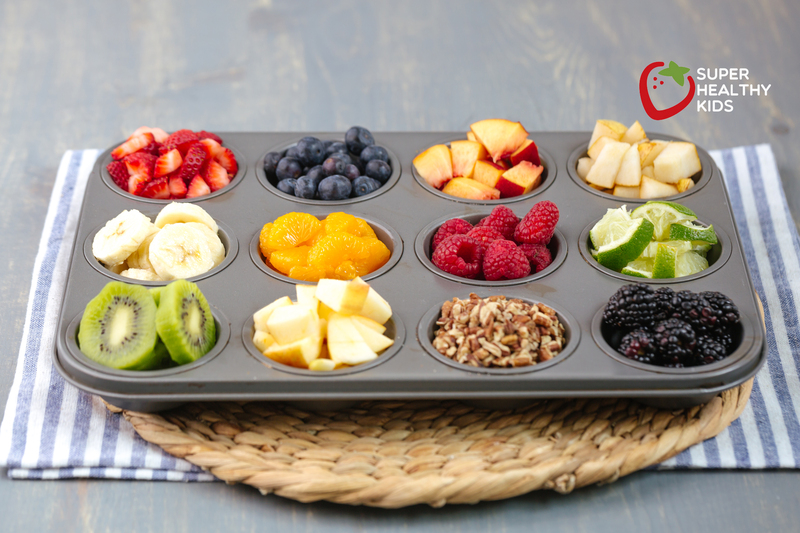 Serving the fruits in a muffin tin makes it more fun and enjoyable! 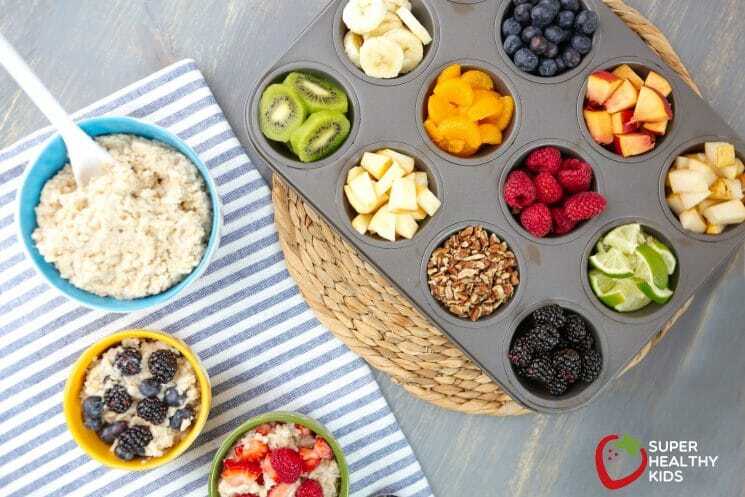 For more ideas on getting your kids to eat fruits and vegetables at every meal, check out our meal plans! With 28 new recipes per week, you’ll always know what to feed your kids. Check them out here. This is a great idea! Now I’m going to be thinking “muffin tins” throughout the day. That could work for lots of foods/meals. This is the most adorable thing! I would’ve loved this as a kid. Who am I kidding… I would love this now:) I can’t wait until my 10 month old son is old enough for me to be able to do fun things like this with him. Thanks for the idea! I love this idea and all the colors. 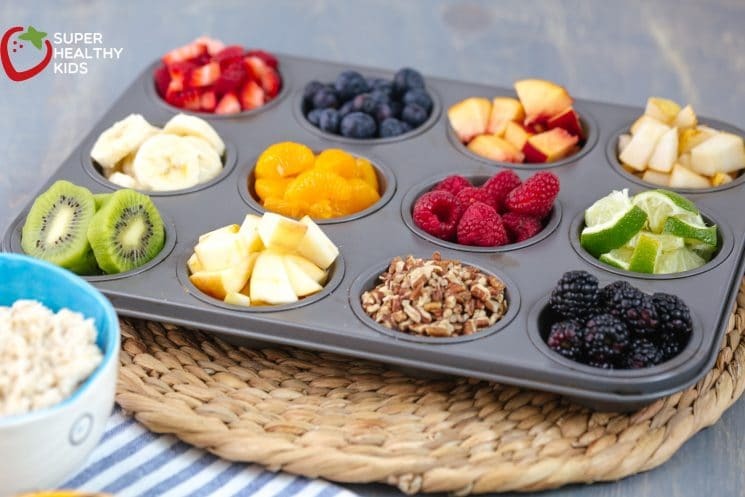 They could use this for yogurt sundaes in the morning too. I Jenny’s idea about it being for meals thru the day too. We have tons of muffin pans too, can’t wait to try it. What a fun idea!! My son ate plain oatmeal every day for almost a year…poor guy. He’s now a bit tired of it (to say the least!) so perhaps if I make it fun and colorful like this, he’ll try it again. 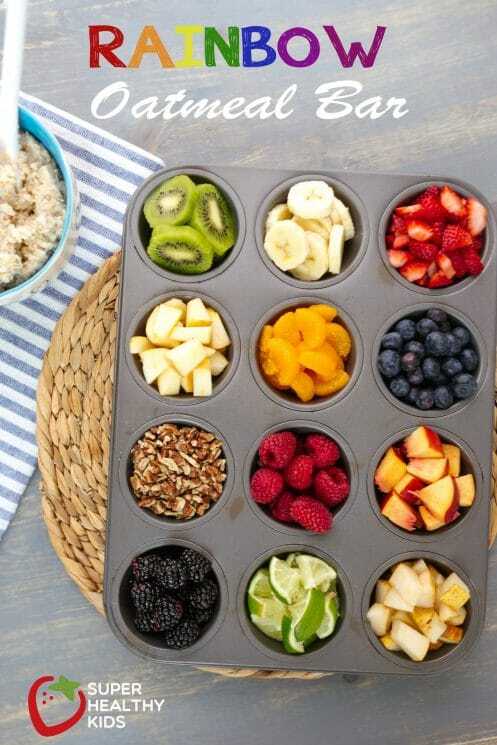 Such a cute and nutrition idea! Kids (and adults) like to eat things they choose to eat. So this is awesome! That was just to show the different options. A picture with 12 different bowls is hard to do. Hello, a newbie here! I did this, this morning with my daughter. I think she liked the idea of all the different fruits available even if she didn’t try all of them. I told her she had a rainbow in her bowl and she was happy with that. Thank you. Hi, question if I may. 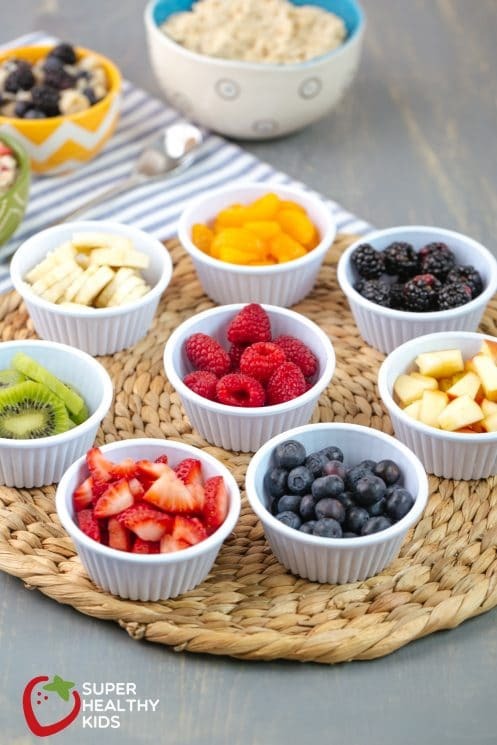 Where can I find those adorably beautiful patterned bowls? I love them! HI Angela- Our photographer Tiffany took these pictures, and said they are from Target!